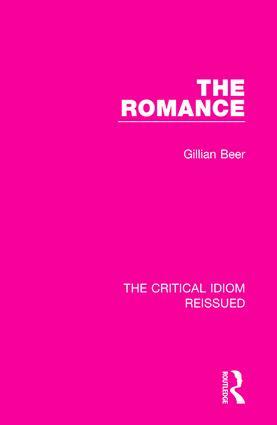 First published in 1970, this work provides an overview of the Romance from the medieval period to the 20th century and tracks how the genre has changed with time, including its interaction with other forms of literature such as gothic novels, realism and science fiction. It explores a myriad of writers including Chaucer, Sidney, Tennyson, Shelley, Meredith and Keats and analyses key texts such as Don Quixote by Cervantes and Kubla Khan by Coleridge. This book will be of interest to those studying Romantic literature.